Training Drills, Theory, and Forms of the esoteric "8 trigrams palm" kung fu, Baguazhang. Three videos in one DVD by Grandmaster Liang and Dr. Yang! Grandmaster Liang began his training in Kung Fu at the age of 6, and was taught the esoteric skills of the Emei Mountain sect, including Baguazhang. Baguazhang (8 Trigrams Palm) is famous both as an ancient internal martial art and for improving health. It develops upper body flexibility, leg strength, and lighting-quick hands and feet. Baguazhang training generates a strong flow of Qi energy to energize your muscles for increased strength. This Qi flow also nourishes your internal organs and improves health and vitality. In addition, Bagua emphasizes circular movement, employs both defensive and offensive strategies, and trains at all three fighting ranges - short, middle, and long. Course 1 contains basic training and body conditioning, teaches Bagua Qigong, and demonstrates the famous Eight Palms sequence with martial applications. Course 2 instructs the intermediate level Bagua Swimming Body sequence, named after the swift and agile movements of a swimming dragon, with martial applications. Course 3 presents the unique Bagua Deer Hook Sword, which is specially designed to disarm opponents. Learn hooking, seizing, controlling and cutting techniques, and the complete sequence, with applications against the long sword. The authors have put as much as possible into this DVD in order to offer a clear and comprehensive overview of the subject. Because Bagauzhang is such a vast art, this three-hour DVD consists mainly of demonstrations of each of the techniques, sequences, and applications so that the student may see the proper movement. 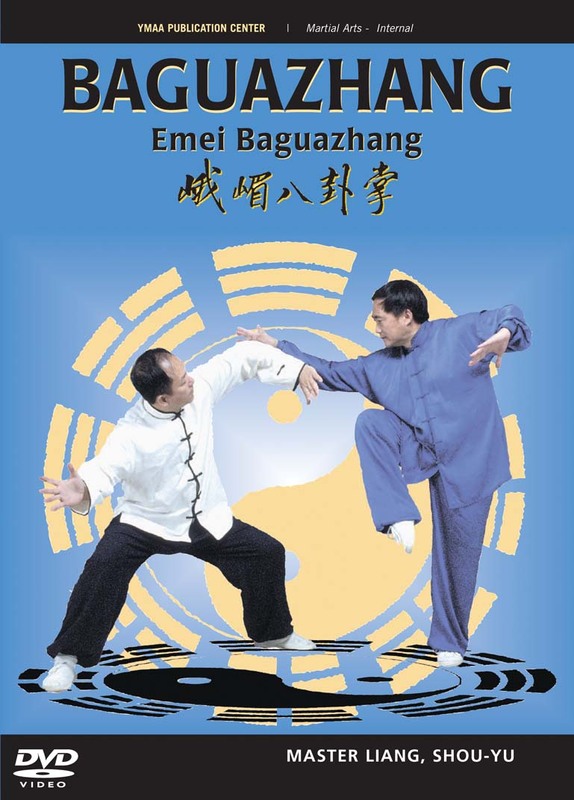 For detailed instruction of each movement, the student must refer to the text book "Baguazhang - Revised Edition" by Master Liang, Shou-Yu, Dr. Yang, Jwing-Ming, and Mr. Wu, Wen-Ching.